While many cuisines go in and out of style, Italian pizzas, pastas, and paninis have stood the test of time. And alas, while we can’t whisk off to the cobbled streets of Naples or bask under the Tower of Pisa in Rome just yet, at least we have these tortellini-amazing Italian restaurants at home to tide us over. 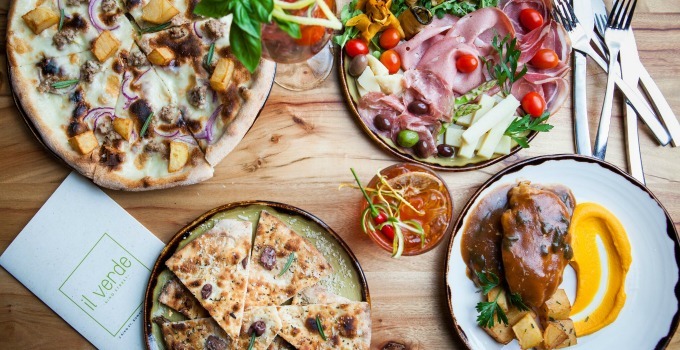 Here’s our pick of Brisbane’s best Italian restaurants. From traditional mum-and-pop to modern date night friendly joints, these are the places that keep us coming back for more. If you’re after that perfect slice of pizza heaven, look no further than Julius pizzeria, whose only fault is that it’s just too damn close to the G&G office (seriously, our pants don’t fit anymore). Located on ever-trendy Fish Lane, this constantly awarded five-star eatery is famous for their delectable wood-fired pizzas. Do yourself a favour and order calamari and cured meats for antipasti. For those who are feeling more macaroni than margherita, be sure to look at Julius’ pasta menu, especially their duck ragu pasta which is se-duck-tively good! When you’re craving some of that old-school spaghetti that your Nonna use to make, why not head to Café Marinara Trattoria? Nestled upon a hill, this traditional bistro’s red-checkered tablecloths and seaside mural will make you feel like you’re in the heart of Italia. All about that comfort food, this tiny but lovely café serves up all your spaghetti and pizza favourites, and serves them well. You’ve heard about underground bars, but what about underground restaurants? The ideal date night locale, this cosy restaurant provides scrumptious modern Italian meals (hello pork belly pizza) that are both intriguing and inviting to eat! Special mention must also go to their truffled mushroom risotto, a deliriously delicious meal that melts on your tongue. Did we mention they have a cider house as well? With all that and more, you simply can’t go wrong with Verve. Be whisked away to Italy with the service of a local Italian restaurant at Il Posto. The place for perfectly cooked pasta, mouth-watering pizza and decadent desserts, you’ll feel right at home as soon as you settle into their seating and take a look at their extensive eats. 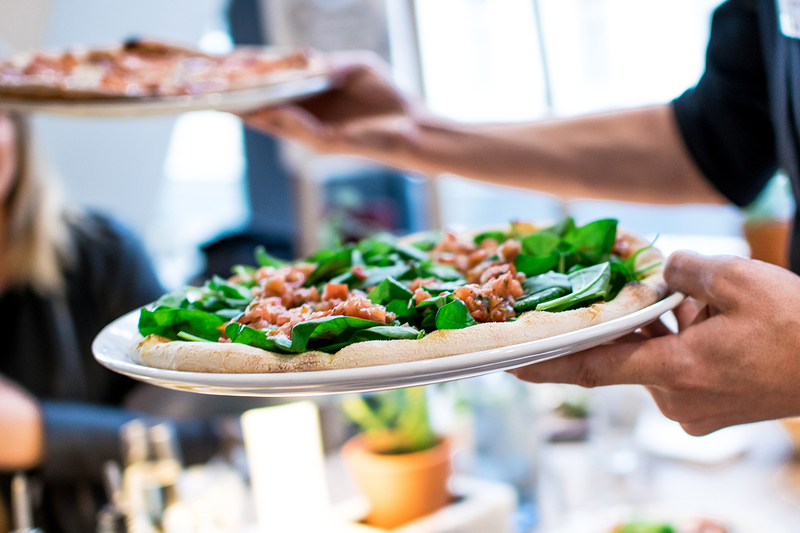 While you can’t go wrong with anything on the menu, we can’t recommend the numero uno pizza enough – and paired with a flavoursome wine, your night is set. Don’t let it creep up on you, because Vine’s cuisine is something to behold. A staple of quality Italian in New Farm, you’ll be indulging on Moreton Bay bug, homemade pappardelle with chicken and pork ragú and their signature tiramisu before you can wrap your head around it and your hand around a glass of Pinot Noir. What’s better than Italian? Italian accompanied with spritzes! And no one does that quite like Bar Alto, with riverfront views making it the ultimate lunch date or Sunday sesh. Grab friends, book a table on the balcony, and spend your afternoon devouring bowls of chilli garlic mussels. The menu is packed with modern Italian dishes and share plates like braised lamb shoulder and pork spare ribs. The pick of the pasta? Crespelle with ricotta, pumpkin and burnt sage butter. Cheese Louise! Il Verde has got the art of combining cheese and pasta down to a tee. Heralding in a new chapter for Italian cuisine, this fancy restaurant, famous for making mouth-watering parmesan pasta from cheese wheels, will keep both your belly and your wallet happy. 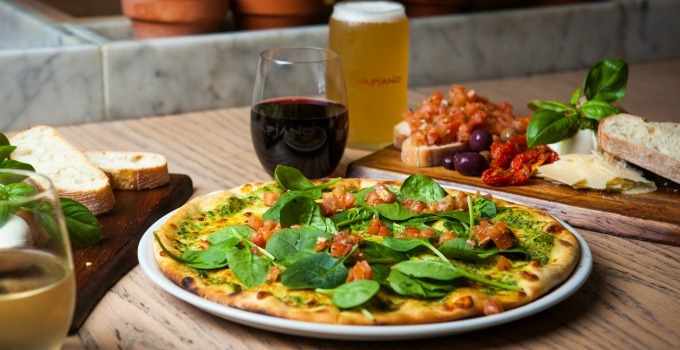 A restaurant who doesn’t believe in ‘charging for quality’, their slice of Sunday appetizing pizzas are only $20 with any drink purchase, which will further help you save some dough! The combo of pasta and seafood is truly out of this world, and Pane E Vino does it oh so well. You can find incredible Italian inspired meals such as the Marinara Spaghetti, coated with Napoli, fresh chilli, and hand-select Australian seafood. For those feeling a little penne-less, be sure to head over midday to take advantage of their awesome two and three-course lunchtime specials. The Spaghetti House Trattoria takes rustic Italian fare to a whole new level with fresh flavours that pair perfectly with a glass of spritz or vino. We recommend you fork out for the figs wrapped in prosciutto with gorgonzola fondue as a starter (if you close your eyes, it actually feels like you’re dining in Tuscany). Situated right in the heart of South Bank, you’ll never miss a ‘slice’ of the action when you dine at The Spaghetti House Trattoria. Nestled amongst the quaint antique shops and restaurants of Woolloongabba, 1889 Enoteca offers a charming dining experience like no other. Pair modern Roman cuisine with a glass of wine from their extensive list, and even a basic family dinner becomes a feast. Also, the parpadelle al ragù is the kind of soul-satisfying dish that you’ll dream about for years to come, so we definitely recommend you give it a twirl. So what are you waiting for? I think it’s time to put some fettucine on your forks.